Thank you for coming to A Night of Healing. Pranayama is the formal practice of controlling your breath, and is used commonly in hatha and vinyasa yoga. Prana means life force or breath sustaining the body; Ayama translates as "to extend or draw out." Together two mean breath extension or control. 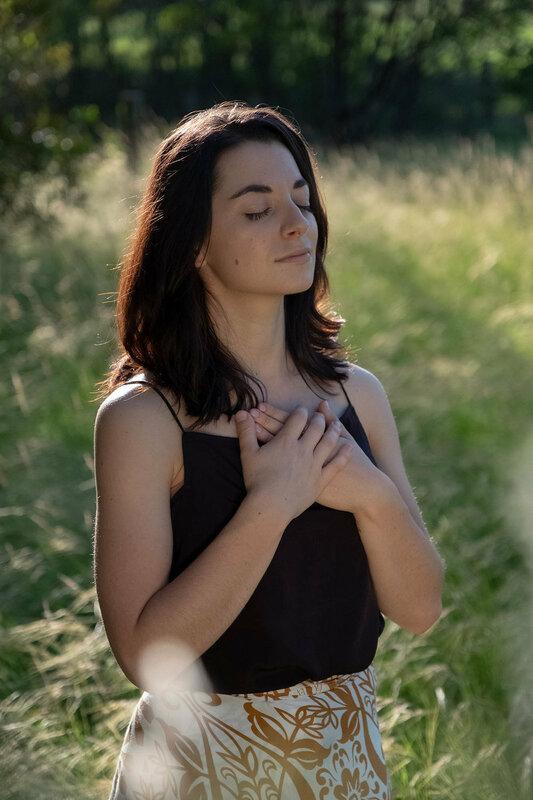 Ujjayi pranayama (also called the Victorious breath) is the most common breath technique in yoga, and it provides a chance to slow down the breath and to bring more control. It’s energizing and calming all at once. Nadi Shodhana (alternative nostril breathing) balances the feminine and masculine sides of the body, or the nadis - the energy lines within our body that criss cross along our spines. I feel like everybody can benefit from Nadi Shodhana as it’s a beautiful connector of the body. If you enjoyed this practice and would like to receive more, you will receive a guided Yoga Nidra practice when signing up to All Being Well’s newsletter, Mindful Mail.